Know what I love? A good knock-off. Know what else I love? Mirrors. 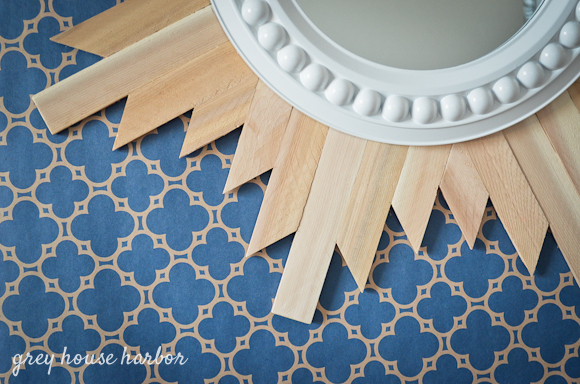 I adore they way they instantly lighten and brighten any space. 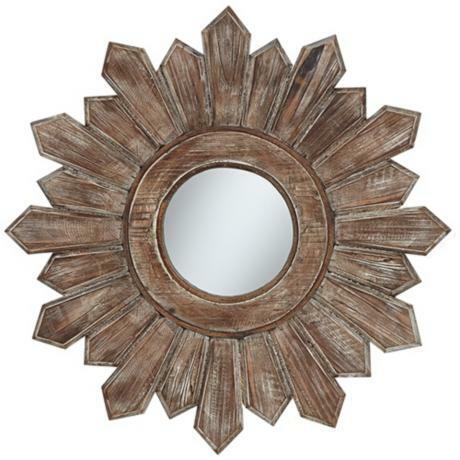 Sunburst (or starburst) mirrors have been en vogue for a few years now and the trend isn’t fading. But they can cost some serious coin. 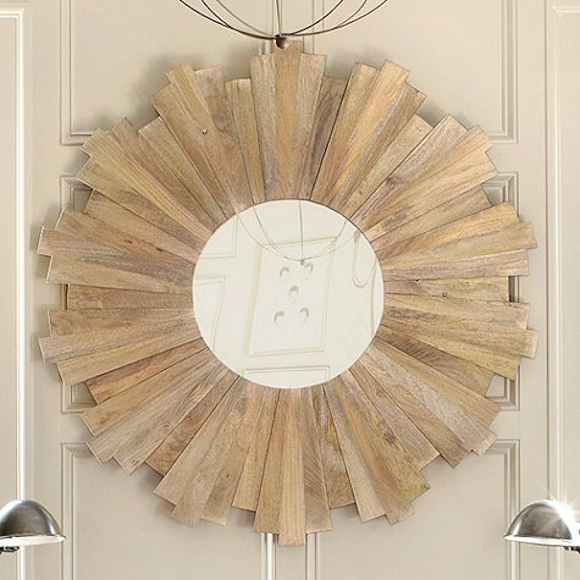 Ballard Designs was selling this rustic beauty for $340. This one is from Lamps Plus is more reasonable at $55, but it’s pretty small. 1. 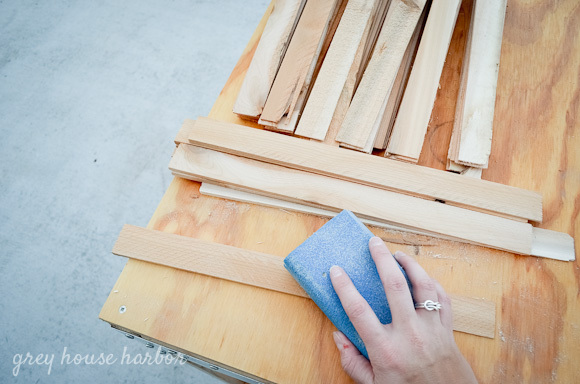 Start by thoroughly sanding all the shims. I actually put on gardening gloves for splinter protection after taking this picture. 2. 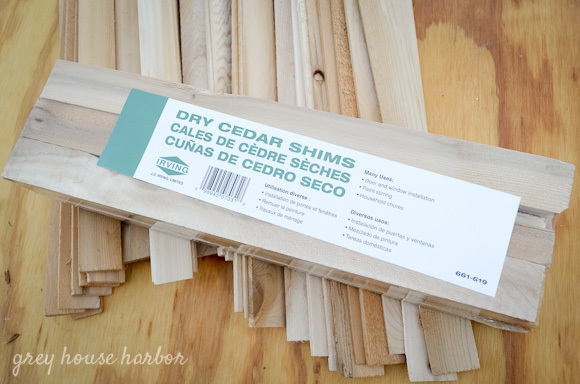 You need a total of 40 shims and some will be bad due to warping or unwanted holes. 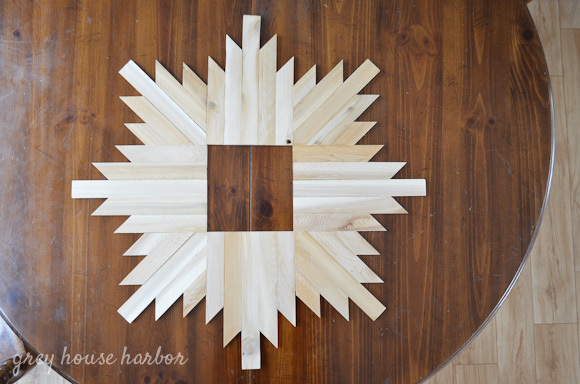 Pick the 8 straightest, most lovely shims and set them aside as your center pieces. 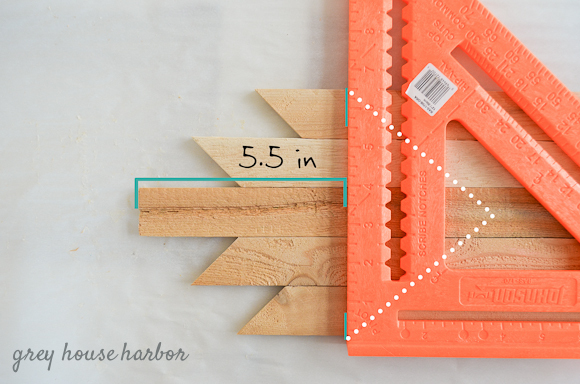 Now you need to cut the very tops of 32 shims at a 45º angle. 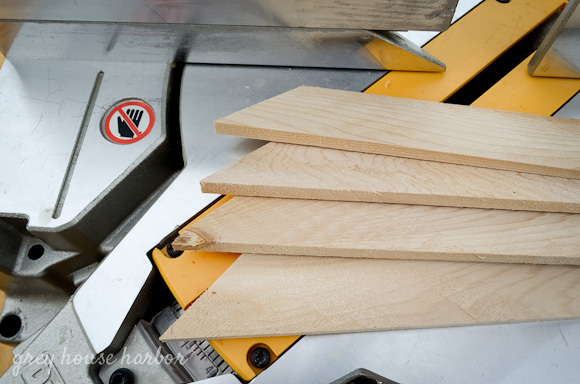 Make sure you are cutting the thicker of the two ends; I stacked and cut them 4 at a time. 3. 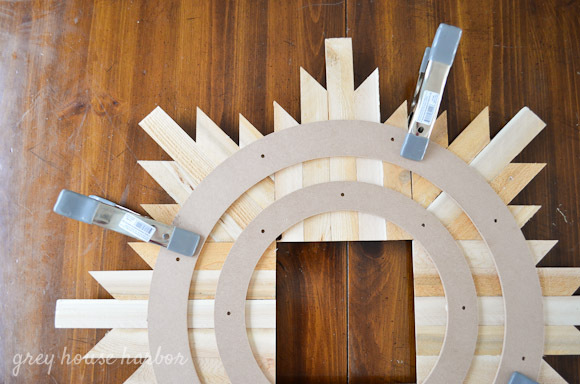 Use the Powergrab adhesive to glue the edges of 4 angled shims to 1 straight one. 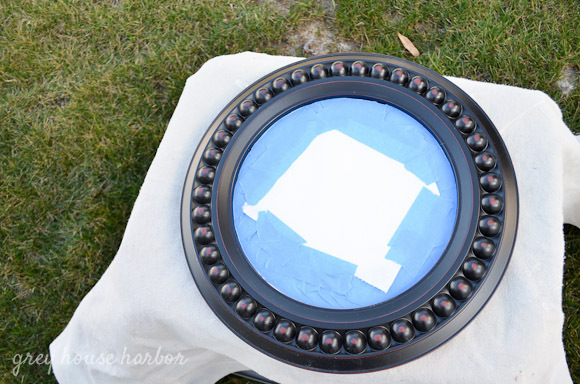 Do this on top of wax paper. Let dry. 4. 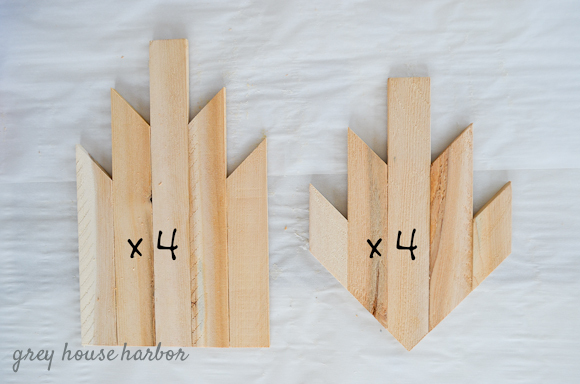 Once dry, use your square to mark 10″ down from the top on 4 sections. 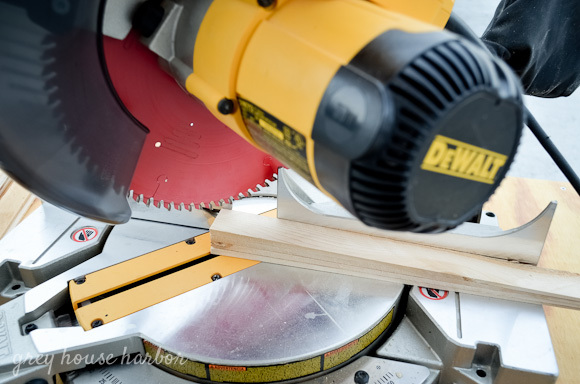 Cut at a 90º angle perpendicular to the shims. 5. 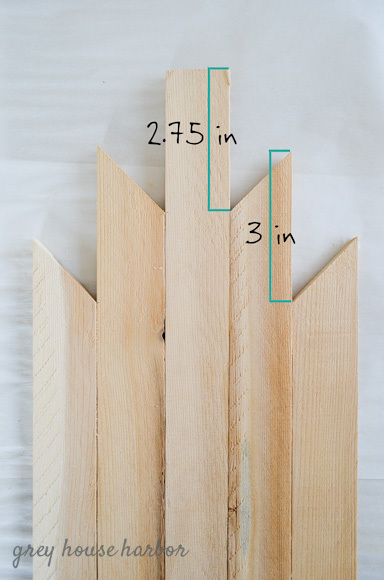 On the remaining 4 sections, mark only the two outside shims at 5.5″. 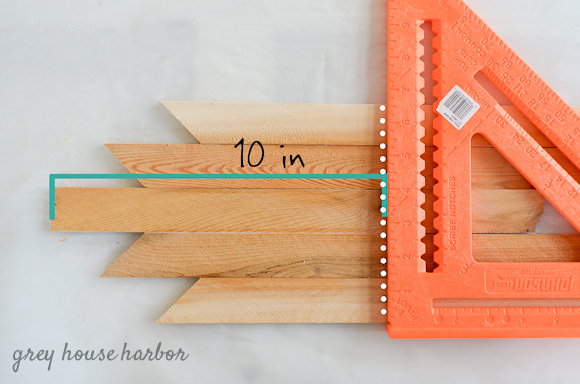 Use your saw to cut a 45° angle inward to make a point. You should have 4 straight sections and 4 angled sections. 6. 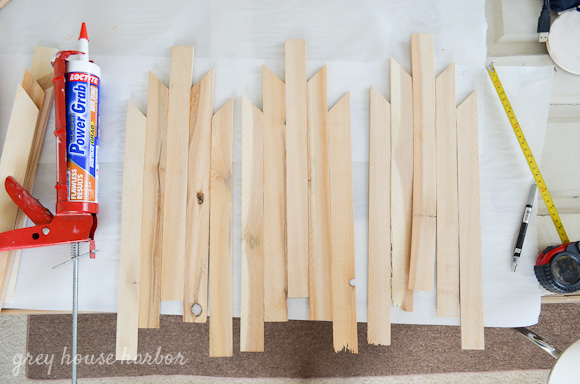 Arrange the 8 sections like this and glue the edges together. 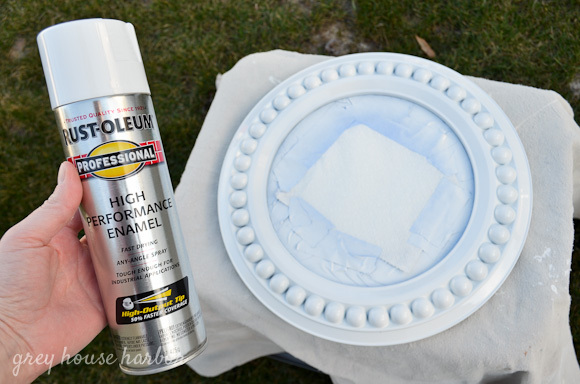 Again, wax paper will protect your surface from stray glue. 7. 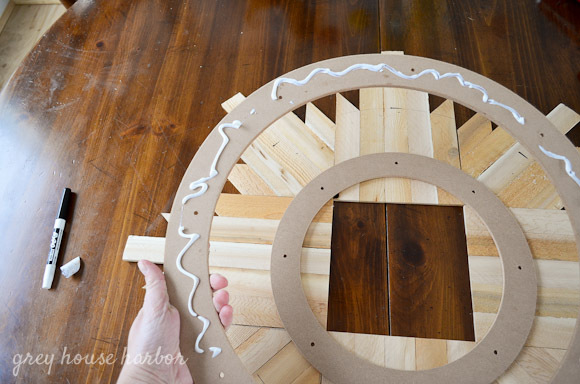 Once the shims are dry, gently flip it and glue both wreath forms to the back. I highly recommend clamping the rings while the glue cures. 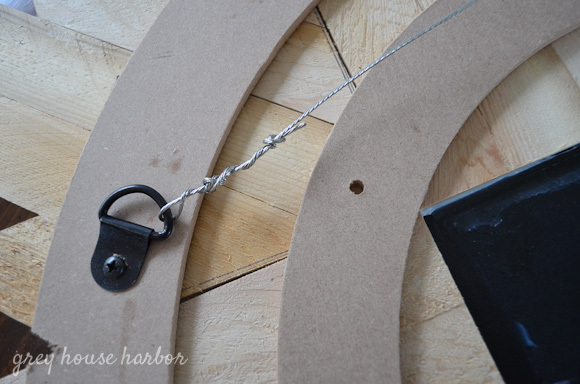 These medium-sized clamps can be found at Home Depot for $1 each. 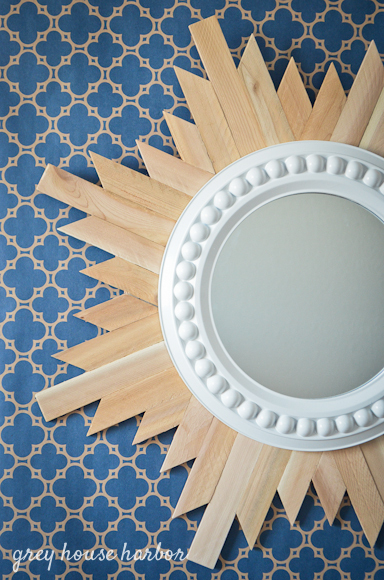 I scored the mirrors for 50% off during a sale at Hobby Lobby. $10 each, but the black frame wasn’t jiving with the look I wanted – nothing that spraypaint couldn’t fix. 8. 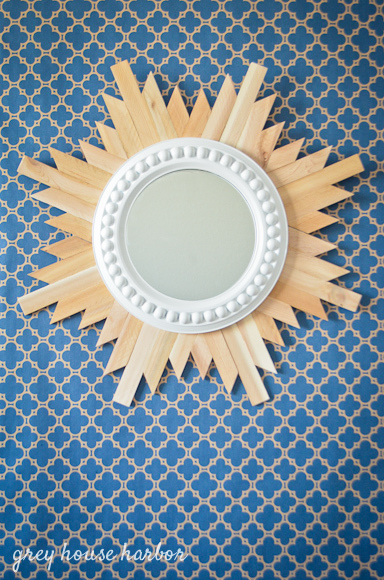 Use the same Loctite Powergrab adhesive to secure the mirror to the shims. 9. Finally, attach D-rings and picture wire for hanging. 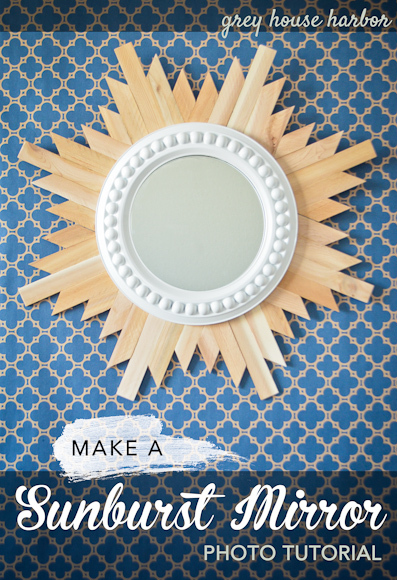 A finished mirror has a 27″ diameter. 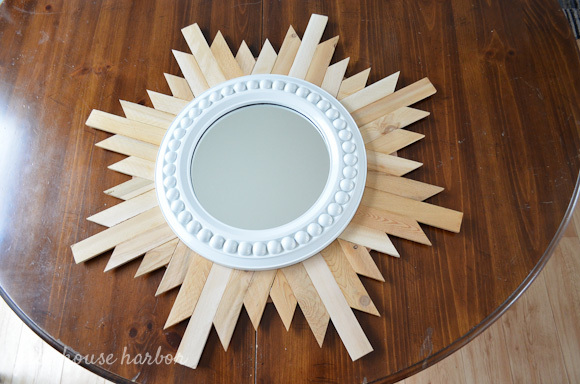 The only supplies I purchased for this were the shims, the mirror and the floral rings. Everything else I had on hand; which brought my grand total to $28 per mirror. So successful was this project that I actually ended up making four of them! 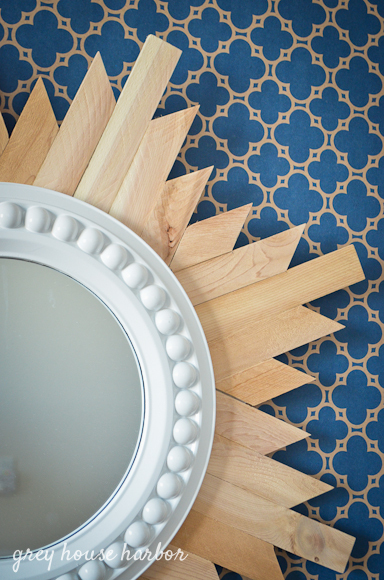 One for myself and three for a friend’s bedroom makeover that I’ll be sharing soon.